If you’re anything like me then you may have a few boxes of ribbons and cards squirrelled away in a special place at home – specifically for wrapping presents. I love giving gifts! There’s something really special about seeing a friends reaction to your gift. The present itself is only part of the experience and creating a great gift from head to toe is a bit of an art. 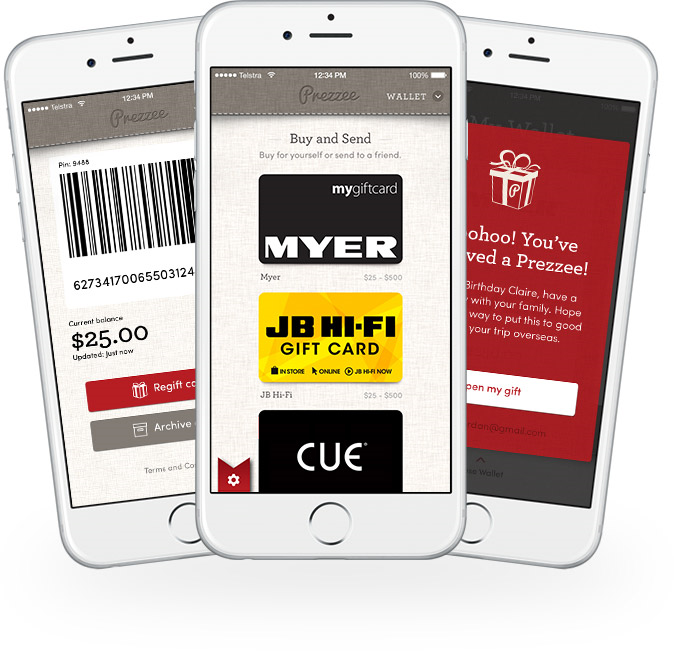 When we created Prezzee, Matt and I had a clear vision of the look and feel of the app. We wanted the whole experience of both sending and receiving a Prezzee to be great. It’s not an easy thing to achieve in a digital space but we developed a simple and beautiful way of doing this. When you send a Gift Card with Prezzee you have a selection of Greeting Cards… we have called them “Themes”. From a birthday to an anniversary or just a simple thank you, we designed a whole range of cards for any occasion. It makes the eGift Card feel like the Gift and the greeting card like the wrapping of the Prezzee. We are currently working on our new Valentine’s Day themed designs so keep your eye’s peeled for what’s new this coming February!